Animal print day is always one of my favorites because I get to spend a lot of time googling awesome animals and choosing a unique one to use in my design. This year, I got stuck googling SEA SLUGS! They are SO AWESOME! 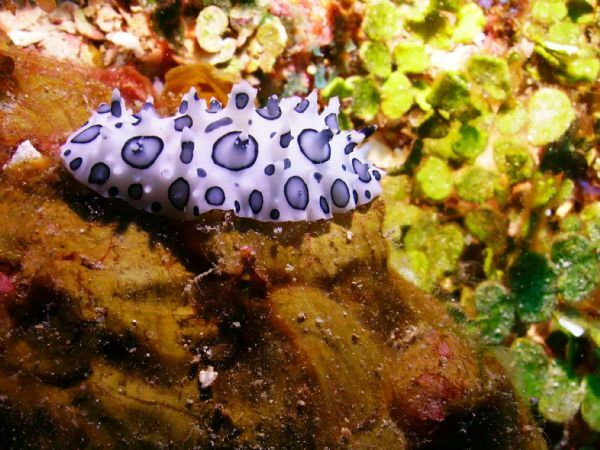 Google "nudibranch" and see for yourself. Of course, calling these nails sea slug inspired is slightly misleading, because not all sea slugs are considered nudibranches, but for approachability's sake let's just go with it. 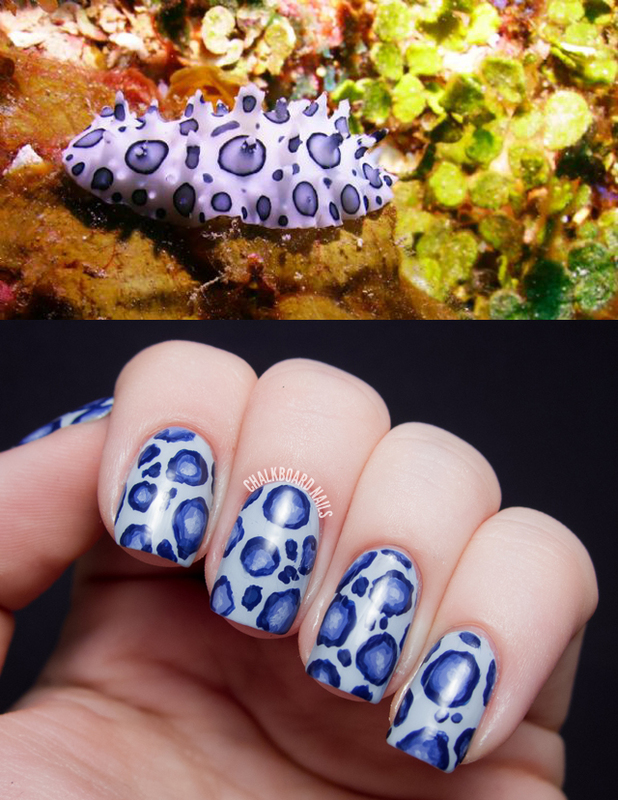 I found this awesome image of a nudibranch thanks to Google and set about recreating it on my nails. I love the bold, contrasting rings... very chic. As I was doing it, I was sure my colors were close, but apparently I was quite mistaken! This little guy in the photo is more purple while my manicure is bluer. But what's a girl to do? Oh well! I used three colors for this manicure: China Glaze Agent Lavender, China Glaze Secret Peri-winkle, and China Glaze First Mate. For the gradient effect on the rings, I mixed the polishes with each other to create custom blends. 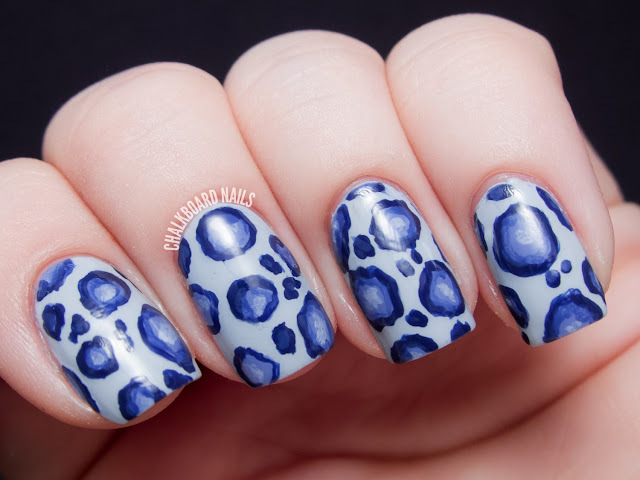 I just love doing unusual animal prints and don't know why I don't do them more often outside of the challenge. I have to remedy that! Here's a pinnable combo image for you Pinterest fiends. 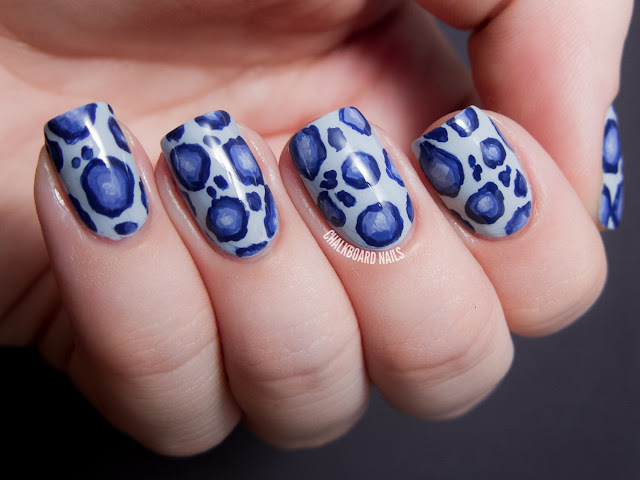 My animal print nails from 2012! 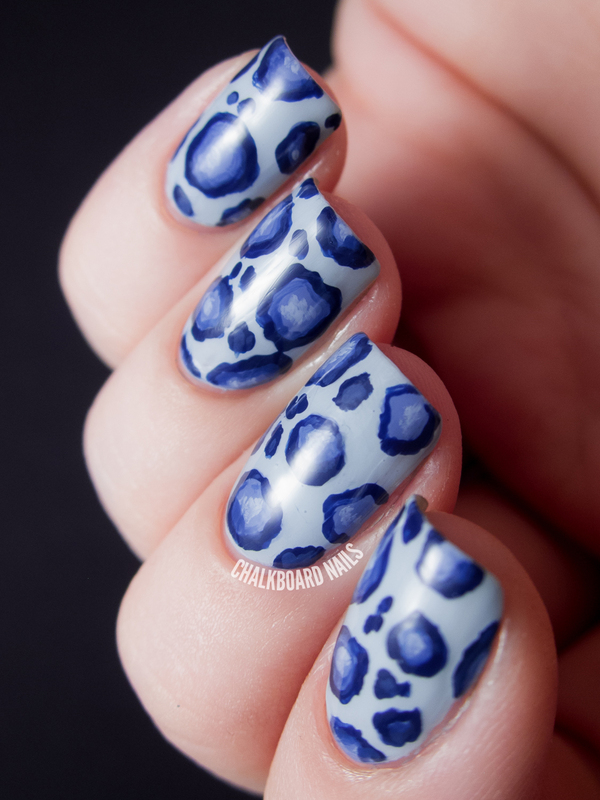 My animal print nails from 2011! I've been waiting all day to see what you came up with! Ab fab as always! This is such a cool design, I love your inspiration! LOOOOVE this! It looks exactly like the sea slug. And that is one pretty cool sea slug I've never heard of. I've seen many Nudibranchs while scuba diving over the years and you have done a perfect job of replicating this little guy. Just gorgeous!! Love this, its so creative. No I didn't, I'll have to check it out! So unusual and super cute! Love the colours too.